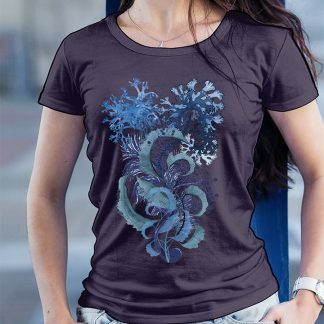 This tee shirt is a regular fit and is a flattering style for all body shapes. 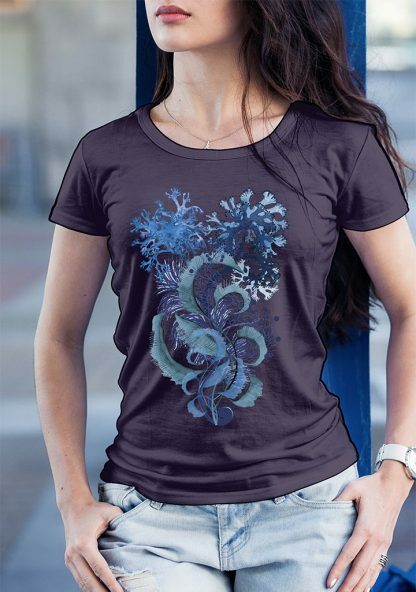 It has a scoop neck, capped sleeves and curved tails that sit nicely over your hips. 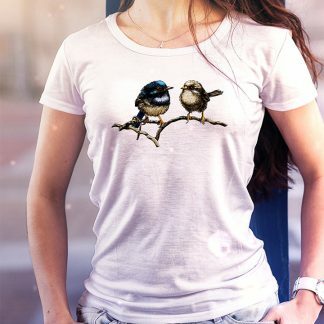 Made from 100% combed cotton (marles 15% polyester) it is light weight only 150 GSM perfect for throwing on with jeans on a spring or summers day. 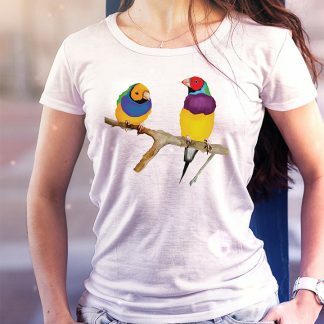 Our striking designed tees are adorned with hand-drawn images of local wildlife including birds, plants and animals and are digitally printed with water based pigment. 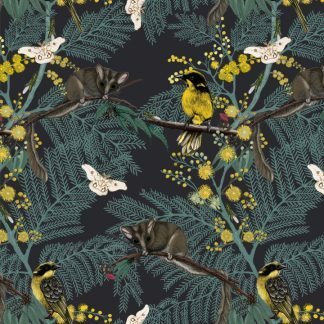 All drawings and illustrations are created from our Canberra studio and can be seen popping up throughout our wallpaper and fabric collections. 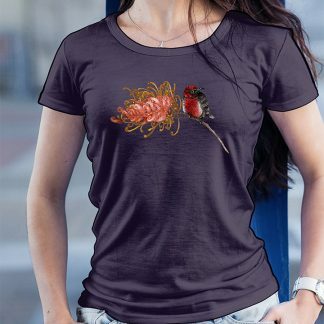 To prolong the print please wash with a plant and mineral based detergent that is biodegradable and has a low hazard rating in terms of health and environmental safety.